From now through July 20th, Xbox Live Gold members with their Xbox 360 systems can pick up Lara Croft and the Guardian of Light for 75% off. It may not have four player co-op like its surprise sequel, but the puzzles are arguably better and the gameplay a bit more focused since it's only Lara and her spear-chucking friend. Xbox One owners will have to settle for some Battlefield 4 add-ons and Tomb Raider: Definitive Edition. No spears for you, sorry. 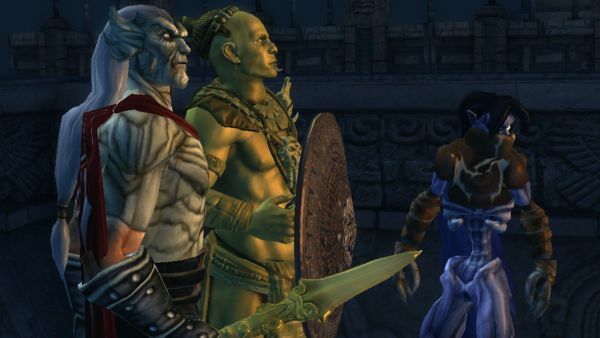 If you're hesitant, check out our Lara Croft and the Guardian of Light co-op review. Then you'll see why you have no reason to hesitate, especially not for 75% off. Page created in 0.3060 seconds.